90’s of the XIXth century – construction of new production facilities for Schliesselburg cotton print factory. The walls with thickness of 3,5 bricks stood bombings and shellings during the Great Patriotic War as well as test of time (more than 100 years). 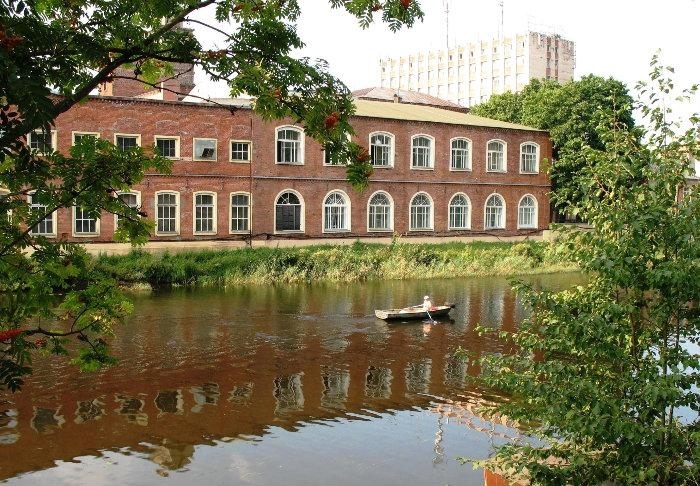 These buildings are the monument of the industrial architecture of the XIXth century. Till now they are used for production necessities of Nevsky Shipyard.